MONTREAL, February 12, 2019	(Newswire.com) - The best bagel delivery starts with something simple: The Bagel Club. A subscription-based bagel delivery service that ships fresh, flavorful Montreal style bagels right to consumers’ doors, the Bagel Club operates throughout the United States and Canada. Bagel lovers can now order bagels online for fast and reliable shipping wherever they are. Grocery store bagels just can’t compete with The Bagel Club’s artisanal bagels, made by hand and crafted for perfection. The secret is in the Montreal style bagel making process. Bagels are made with eggs for added chewiness and a bit of honey for a touch of something sweet. Then they’re hand-rolled fresh and poached in honey water before being baked in a wood fire oven. The result? An exceptional bagel that’s crunchy on the outside, fluffy on the inside and packed with a subtle sweetness that makes it simply irresistible. With The Bagel Club’s bagel subscription delivery service, it’s easier than ever for consumers to buy bagels online. The bagel by mail service is designed for freshness, with every care taken to ensure that bagels are as soft and tasty when they arrive as they were right out of the oven. Here’s how it works. 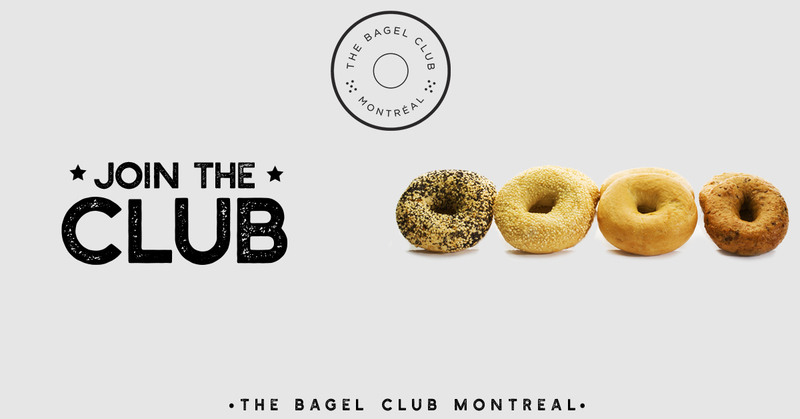 Customers visit thebagelclub.com and pick their favorite flavors from a curated selection of high-quality Montreal style bagels. Then they note how many they would like and how often they would like them to be delivered. Delivery can be scheduled for one time or for as frequently as desired. Everyone is busy enough without having to worry about driving to the store to pick up lunch. The Bagel Club’s simple subscription service is a great option for consumers at home, but also makes an excellent choice for businesses and corporations that offer breakroom snacks or host regular midday meals. With The Bagel Club, a crowd-pleasing lunch is always on hand, with superior bagels that are ideal for adorning with smear or other toppings. Good eating should never be complicated. The Bagel Club takes the guesswork out of building the perfect breakfast, lunch or snack. Enjoy fresh Montreal style bagels whenever, and wherever, and taste the difference that comes with convenience. Learn more about The Bagel Club’s bagel-making process, flavors, and innovative subscription service by visiting thebagelclub.com. The Bagel Club - A Montreal style bagel company delivering hand-rolled and bathed in honey water bagels. The perfect artisanal bagel, every single time!